The body has an amazing ability to heal itself…an inherent knowledge. The body also has a huge capacity for compensation. And the body builds protections, especially around areas it can not heal. And the body also remembers…the tissues have memory on a cellular-level. At optimum health, all body parts and interconnections are dynamic on a micro-scale. So…even if you are holding perfectly still, inside you are moving…everywhere. And the movement of one part relates to the movement of other parts, and so on. When trauma, stress, or illness occurs, an adhesion can be formed and the area of adhesion can become static. Something that is static or stuck in the body, causes other areas of body parts to change course of direction in order to move around the static area. This sets up a collection of domino-effects in the body’s structure and physiology…changes in vascular and lymphatic circulation, neurological responses, range of motion and movement, etc., thus creating an environment for disease and dysfunction. In short, your body will compensate until it uses up its ability to compensate and then you get sick or a system begins to fail. One simplified analogy is to think of getting a sliver of wood into the body. The body will form pus, etc. and do it’s best to push the sliver out and heal the wound. However, if it is unable to push the sliver out, in time, it will harden the area around the sliver and wall it off. It forms a protection. The body will do this on many levels–physical and emotional–and in many degrees of severity. My work uses a variety of treatment modalities, combing those techniques that are best suited to treat a specific problem. These include the use of acupuncture, herbal medicines, and moxibustion (a localized heat treatment). In addition, I integrate Cranial Sacral Therapy, Visceral Manipulation, Somato-Emotional Release, and Biovalent Systems using light-touch hands-on-contact with the body, imagery and dialogue. I am also one a handful of practitioners using Classical Chinese Medicine which utilizes stones, crystals and elixirs taught by 88th Generation Daoist Priest, Jeffrey Yuen. 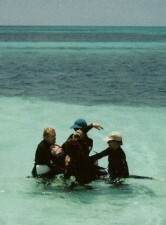 I have used much of this work in the water, often in the water with Dolphins. See Therapy in the Water with Dolphins and Upcoming Dolphin Programs. Applying this work in the water takes gravity out of the equation. This allows the body tissues to respond and release in an extraordinary way. When the Dolphins are present, they become the Primary Therapists…and the teachers! The gentle energy they send, often to very specific tissues and areas of the body provide rapid and profound changes in structure and mental presence. Using these techniques, I engage the body’s self corrective-mechanisms which allow healing to take place on both a physical and mental/emotional level. These subtle techniques address specific and detailed components of bodily systems, producing rapid and measurable changes in range of motion, movement patterns, breathing and pain reduction. A few of my areas of expertise include environmental sensitivities, headaches, spinal torsions, TMJ, neck & back pain, other joint problems and emotional stress. Balancing tensions, rhythms and patterns in the mouth have a major influence on health, and are especially helpful in conjunction with dental work. All treatment begins with a full diagnosis, which takes place during your first visit. I spend a lot of time getting a complete picture of your health and lifestyle. I examine the condition of your tongue (is it cracked, coated, excessively pink? etc. ), and check your pulse on both wrists (the quality of your pulse gives information about possible imbalances). I will also ask questions about your emotional state, and specific symptoms you may have. This is done because unlike Western medicine, I treat the whole person. Instead of merely focusing on the symptoms of your condition, I treat the underlying cause of those symptoms…I go after the root cause. Your first visit is a minimum of an hour and a half in length. This includes initial intake, diagnosis and a treatment. Subsequent visits generally range from 1-2 hours. In most cases, I will also prescribe an herbal formula. Herbs are nearly always prescribed in a balanced formula, where different herbs have supporting effects. Thousands of years of use and research have shown that this is far more effective than large doses of a single substance. 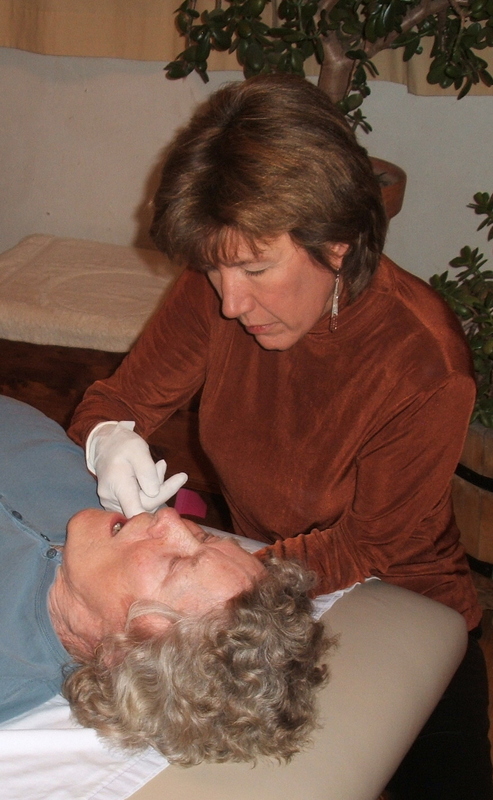 Typically, treatments are given once a week. If the condition is acute and painful, treatments may be given 2-3 times per week until the condition starts to come under control. The exact duration of treatment depends on the condition, your basic level of health, and how well you respond to treatment.